Instagram is now officially a Facebook-owned company after the pair closed the long-pending deal. The takeover, which was agreed in principle back in April, has been subject to probes from the Office of Fair Trading in the UK and the FTC in the United States, delaying official confirmation. Neither regulatory body felt the deal would adversely affect competition and green-lit the acquisition, which has now been rubber stamped. On Thursday, Instagram founder Kevin Systrom posted on Facebook: "Very excited to announce that we're now officially joining the Facebook family. "I'm psyched for the next chapter of this long journey." 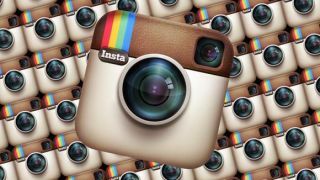 Facebook stumped up $300m in cash for Instagram, while also offering 23 million shares. Initially, the deal was worth around a billion dollars, but Facebook shares have been cut in half from $38 to $19 since then, which wipes around $350m off the original deal. Facebook has vowed to continue running Instagram as a standalone company, while it is thought that the app will help Facebook develop its own mobile strategy. Instagram already has 50 million users and that's sure to swell significantly as the tie-ins between the two companies become more visible.